Autism and the Art of Communication: Another video on the YouTube Channel! It's difficult to teach individuals who are very bright, but compromised in their ability to understand and use verbal language. The challenge is to teach to the level of the intellect (so that the person finds the learning activity interesting and engaging), while not overwhelming the weak language processing. You can go around weaker language skills by presenting concepts and skills visually, with very simple language (written and verbal) used to highlight key information. Video is a strong visual medium because you can demonstrate skills in sequence, you can add printed captions, and you can tailor the sound track to match the language level of the person you are teaching. The other major advantage of having teaching materials on video is that they can be paused, rewound and replayed as many times as necessary for the person to get all of the information. Emma is a bright and artistically talented young woman with limited verbal language skills. Over the years, we have developed many teaching techniques based on drawing and visual demonstration to help her to learn new skills in a variety of artistic media. One of the most effective ways to teach her is side-by-side demonstration of new techniques, using very simple repetitive verbal language (that she can later repeat to herself as she does the activity). Our most recent project is to translate this type of instruction to video, so that she can continue to learn more independently. 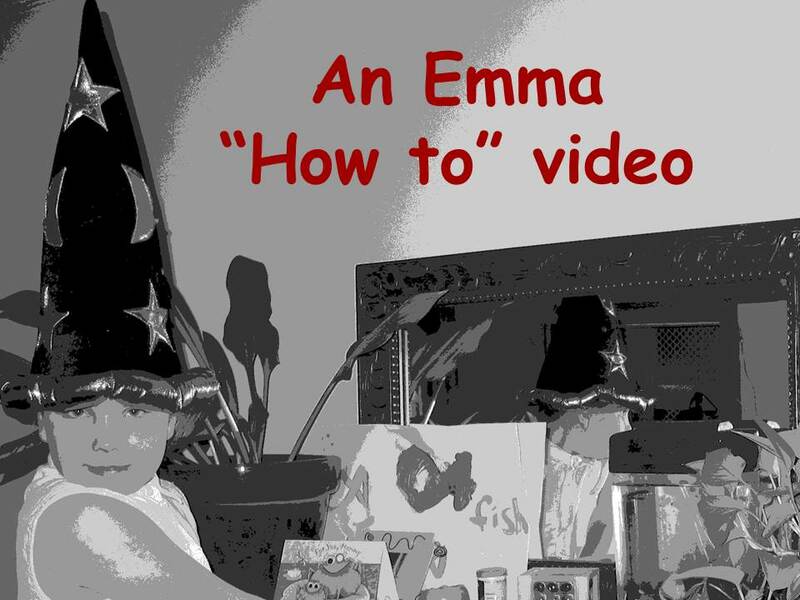 This is the first in a series of teaching videos, the "pilot episode" of "Emma's how to videos". Her mom has kindly agreed to share the video, to help out other ASD individuals who might learn in a similar way. This video is designed to be used with or without the sound-track on. One of the most common issues in teaching ASD individuals is their irritation with too much language and noise - they become overwhelmed and overloaded and they shut down. Another choice is to turn off the sound-track of the video and add your own "voice-over" as you sit beside the student and watch the video together. Pause and rewind are your friends. We are very interested in hearing your feedback about this video, and about the new YouTube channel in general .... Stay tuned!